La Vie Fleurit: Newsflash; The must visit Fashion & Photography exposition! Newsflash; The must visit Fashion & Photography exposition! Last week FOAM (Amsterdam’s Photomuseum) opened their new exposition; MOAM. The project combines recognized artists and upcoming talents, from both photography and fashion design. In total 15 partners from both worlds teamed up, in reinterpreting 3 images from the famous Dutch photographers; Anton Corbijn, Erwin Olaf and Inez Van Lamsweerde & Vinoodh Matadin. Visitors can admire the new works by couples like; Jolijn Snijders & Claes Iversen, Paul Bellaart & Jan Taminiau and Dennis Swiatkowski & Frans Molenaar, until the 17th of March. In addition you’ll be able to buy some affordable work by other artists as well. 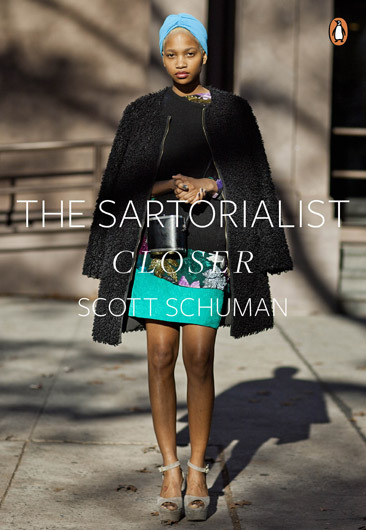 But there’s more … Tomorrow evening, the 22d of January, the one and only, Scott Schuman, better known as The Sartorialist, will be coming to Amsterdam in honour of his new book; Closer. So if you want one of his limited edition signed books, the doors to his signing session will open at 19:00 o’clock. However, whether or not you’ll be needing your camping gear, I’m afraid I can’t help you! One of the reference photo's by, Erwin Olaf for ELLE Fashion. More cool images for you guys to see at MOAM. The Sartorialist's, new book, Closer.